It's hard not to paint Facebook Inc. (FB) stock in a good light. Shares are up about 14 percent in 2016, roughly double the 7 percent return on the Standard & Poor's 500 index. Since its initial public offering in 2012, Facebook stock is up 213 percent, essentially tripling the S&P 500's 69 percent. More than four years after its public offering, Facebook is still going gangbusters: Revenue increased 56 percent last quarter to $7 billion as earnings per share surged 165 percent. The board just approved a $6 billion stock buyback. One could go on all day, listing eye-popping metric after metric, all making the case for why FB is one of the best stocks to buy for 2017. But sometimes the qualitative is just as important as the quantitative, especially when investing for the long-run. So here are five simple reasons FB stock looks like a tremendous buy for long-term investors. Brilliant founder-CEO. It's no secret that Facebook has a brilliant founder-CEO in Mark Zuckerberg. He became the world's youngest self-made billionaire at age 23 after dropping out of Harvard to build a tech empire. The simple fact of the matter is, brilliant founder-CEOs tend to work out pretty well for shareholders. Alphabet (GOOG, GOOGL), Amazon.com (AMZN), Tesla Motors (TSLA), and Netflix (NFLX) all have abnormally intelligent founder-CEOs – and abnormally great market returns since their Wall Street debuts. Plus, let's not forget two of the biggest tech names in the world, Apple (AAPL) and Microsoft Corp. (MSFT), which both came to prominence and thrived for many years under iconic, brilliant founder-CEOs. Of course, not everyone who might fall under this classification has gone on to create vast sums of wealth for shareholders. Jack Dorsey of Twitter (TWTR) hasn't done the deed, and Andrew Mason of Groupon (GRPN) and Mark Pincus of Zynga (ZNGA) each destroyed billions in shareholder wealth. With Zuckerberg's track record, though, investors can rest assured that he knows where he wants the company to go and how to get it there. And considering that Zuckerberg is only 32, Facebook shareholders could have many decades of his leadership to still look forward to. Insanely strong network effect. Facebook has an absurd 1.8 billion monthly active users and growing. For many, Facebook is extremely addicting. "Consumers spend more time on social media than any other digital activity. 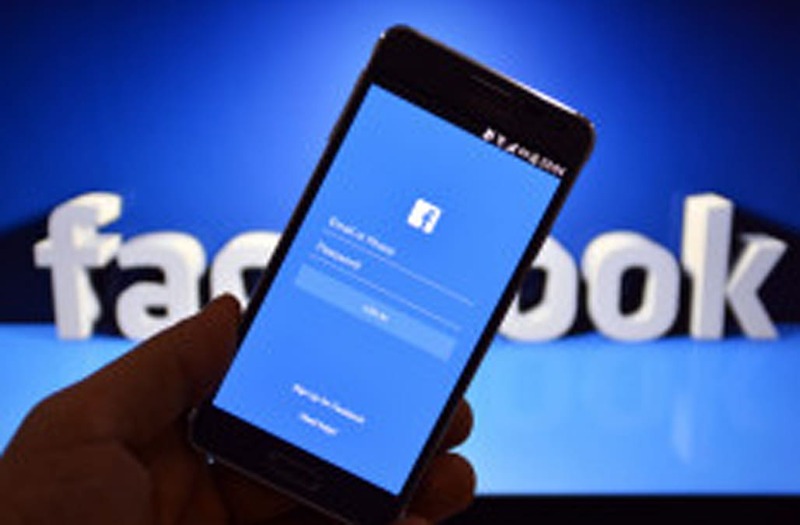 Facebook continues to grow in importance as a global business channel," says Bob Johnson, president and CEO of The American College of Financial Services. Consumers spend so much time on Facebook because each new person that joins adds more value to the network, and makes more people want to join. In today's society, you could argue that not being on Facebook is actually a social cost in some ways. This is known as the "network effect" – when a good or service becomes more valuable as more people use it. The network effect is a strong sustainable competitive advantage, as companies like Verizon Communications (VZ) and AT&T (T) can attest. If an upstart competitor wanted to compete with Facebook, they'd have a very hard time; it would take years and probably decades to do, and it would require hundreds of millions of longtime Facebook users to switch. Facebook's staying power, addictive qualities and tendency to grow are three reasons advertisers shower the social network with billions every quarter. Master of mobile. Eighty-four percent of all ad revenue was from mobile in the third quarter, up from 78 percent the year before. This is remarkable, considering where the company was just a few years ago. When FB stock first hit the markets in its highly anticipated 2012 IPO, its inability to monetize mobile quickly emerged as investors' largest concern. In fact, within only a few months of its debut, Facebook stock lost half of its value due to those fears. With consumers still transitioning over to mobile from personal computers, FB stock is positioned perfectly. Early stages of monetization. Facebook doesn't just own Facebook. It also owns one-time rival Instagram, which has 500 million monthly active users. Despite the large user base, Instagram doesn't contribute much to Facebook's breakneck pace of growth. For now, at least. "eMarketer estimates that Instagram will contribute less than 10 percent to Facebook's worldwide revenues this year," says Benjamin Lau, co-chief investment officer and principal at Apriem Advisors in Irvine, California. But, Lau says, "that percentage should jump to 14 percent in 2017." Why? "Instagram has been increasing the number of ads users are seeing," Lau says. On top of Instagram though, Facebook also owns two massive messaging apps, WhatsApp and Facebook Messenger. Both reached 1 billion MAUs in 2016. Facebook is only now making revenue a priority on those two platforms. "Facebook hasn't fully realized the monetization potential of WhatsApp and Messenger," says Lau. "We feel they're in a great position to dominate going forward." That helps to explain why Facebook – despite its sky-high growth rate today – still has plenty of room to grow in the future. Virtual reality and other growth drivers remain. Perhaps the most exciting potential catalyst for FB stock is something that's not even a rounding error in the company's results today: virtual reality. When Facebook bought Oculus VR, a virtual reality technology company, in 2014, Mark Zuckerberg made it clear that he believed it had tons of applications outside of gaming. In a Facebook post announcing the $2 billion acquisition, he outlined a few of them: "After games, we're going to make Oculus a platform for many other experiences. Imagine enjoying a courtside seat at a game, studying in a classroom of students and teachers all over the world or consulting with a doctor face-to-face – just by putting on goggles in your home." Yes, imagine. Imagine Facebook taking a cut of each of those experiences – a percentage of your ticket price, a percentage of your tuition, a percentage of your checkup fee. Now imagine how many other experiences there could be for this level of immersive technology (which is still admittedly a few years away), and imagine where FB stock will be trading then. "Zuckerberg envisions all future social interactions in virtual reality," says K C Ma, professor of finance at Stetson University.